You may have money waiting for you... and not even know it!!! 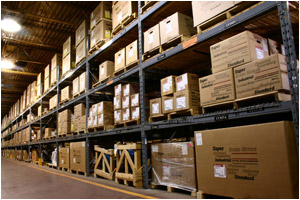 As established by the U.S. Customs Duty Drawback Program, importers may be able to receive reimbursement of 99 percent of all duties paid over goods entered into the U.S., that are re-exported in the same conditions or very similar, they were imported in or goods that are made entirely from imported material. Manufacturing Drawback – Drawback bestowed on merchandise manufactured in the U.S., totally or partially, with imported raw materials or its substitutes, that is exported or sold to foreign markets under U.S. Customs supervision. Drawback on Rejected Merchandise – Drawback claimed over merchandise received not in accordance with sale specifications or over merchandise sent without the consent of the consignee. Same Condition Drawback - Drawback on imported merchandise, never used in the United States, which is exported or destroyed under U.S. Customs supervision. The claim must be made within three years from the date of importation. If you are eligible for any Drawback, let NRI experts assist you in applying for such re-imbursement and obtain the money you are entitled to. Our specialists will take care of all procedures related to duty Drawback situations to maximize your refunds, whether your company is establishing a new Drawback program or just filing a new claim. To learn more about this program: Contact Us!